Torfaen is one of six councils that Department of Works and Pensions are running the trial with. 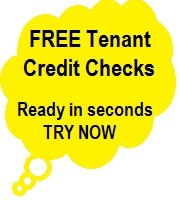 The trial on Universal Credits involved some 950 tenants who received their rent paid directly to them, this resulted in a shocking 700% upsurge in rent arrears. As suspected by anti-Universal Credit groups, one of the probable effects have been highlighted by the trial where rent arrears have rocketed from £20,000 to £140,000. Private sector landlords whose tenants are on local housing allowances have been use to this system, but social sector landlords have had the rent paid directly to them which with the introduction of the Universal Credits will stop. There are warnings that this new system will be taking away rent due to landlords as some people will not be able to manage their finances with one single monthly payment and there are fears of a high increase in the number of evictions. The knock-on effect is that more and more private landlords will not be getting involved with people on housing benefits. The government still maintains that Credits scheme will allow people to control their finances better and will improve their self-esteem.